It is not often we get the opportunity to gather the entire Dream Escape team together, so when it does happen it is an event to celebrate! Last week we did just that with a magical mystery, pre-Christmas, team-building, site visit, fact-finding tour in Scotland. 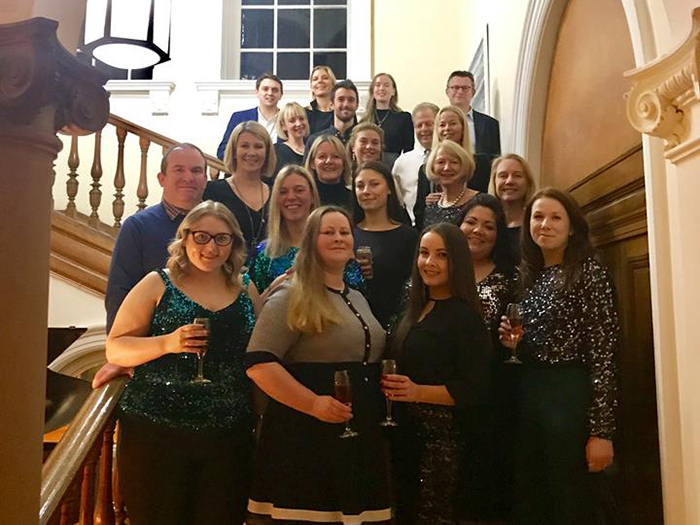 The team met at the Brasserie Prince Bar at The Balmoral, Edinburgh and experienced activity schools at Gleneagles followed by drinks and dinner. The following day we took a cruise through the islands of the west coast, spotting seals and local wildlife. We ended up hiking in the awe inspiring and spectacular Glencoe to our final destination, Glencoe House for an evening of celebration. It is so important for us to see our properties and experience the many diverse activities we offer from the ground so we can improve our knowledge, meet our wonderful suppliers and strive to be the best we can be. We are fortunate enough to have a fantastic in-house Guiding Team, headed by Rosie Peattie, our very own Mary Poppins, so we all learned something new on the journey, benefiting from her vast knowledge. The trip was coordinated by Head of Operations, Nicola Barbour, who tirelessly deflected the constant enquiries and kept the whole programme a surprise, not an easy feat in an office full of born organisers and planners! Follow us on social media to keep up to date and see what we are up to!